Calum started his footballing career at Newcastle United, and has played for the Republic of Ireland at both Under-19 and Under-21 level. His first professional experience came when he moved to Blyth Spartans and later Hayes and Yeading before being picked up by the Glenn Hoddle Academy in Spain. 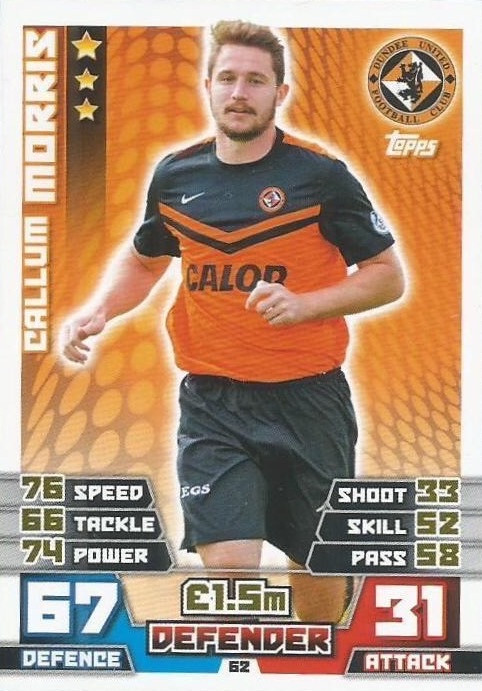 He moved to Dunfermline Athletic in 2012, where he spent two seasons with the League One side. Upon the expiry of his Pars contract, he signed for United. Callum was born on this date in Newcastle, England. United stormed to the top of the league on the opening weekend of the 2014/15 season with a stunning 3-0 away win at Pittodrie. United had failed to record a single victory against the Dons last season so it was always going to be a tough opening fixture for the tangerines. Jackie's first team selection of the season had a familiar look from middle to front, with the Manager sticking by players used extensively last season. However, at the back there were three debutants in the four man defence. Jarek Fojut and Callum Morris formed the central defensive partnership and Conor Townsend came in at left back. 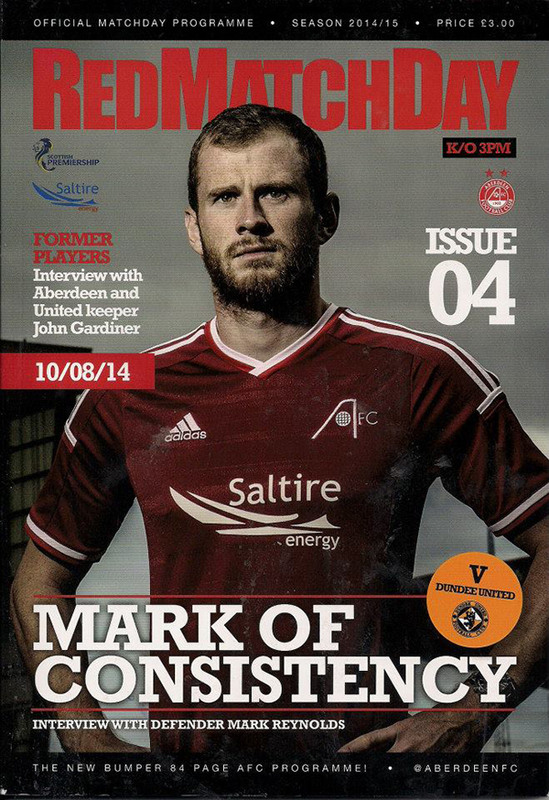 Former United man, David Goodwillie started up front for the Dons. United's best performance of the season thus far ensured a comfortable win over their near neighbours in the first derby match of the season. Ryan Dow recovered from injury to replace the suspended Ciftci, otherwise it was an unchanged line up to the last outing against Hamiltion. 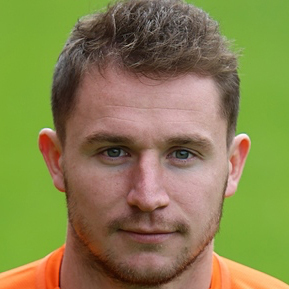 Dundee United started their League Cup campaign by making two changes from the draw with Inverness. Charlie Telfer replaced Ryan Dow and Jamie Robson made his United debut at left back, coming in for the suspended Sean Dillon. With relegation already confirmed, stand-in first team coach Gordon Young resisted the temptation to make too many changes for the trip to the Caledonian Stadium. Morris and Mckay were the only two to come into the team, while Paton and Spittal dropped out. United elected to go with youth on the bench, with a number of this season’s development squad included.